In the summer of ’78, I betrayed myself. I sold my soul in an effort to fit in. The distinction between being a Chicago White Sox or a Cubs fan is a strong one in my world. Those who say they are fans of both really aren’t baseball fans, in my opinion. “Cubs or Sox?” was the second question I asked my future husband on our first date. Colors run deep (and good guys wear black). 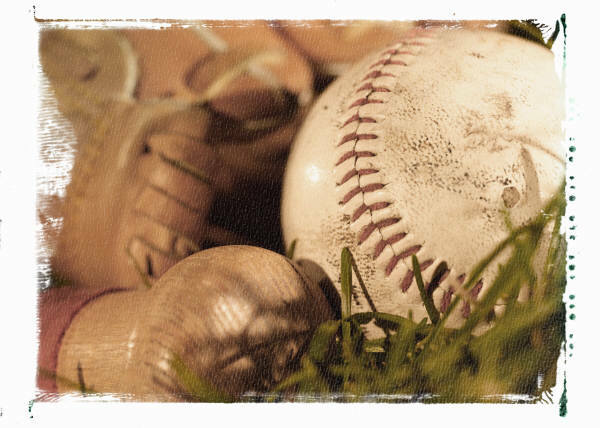 And while the current state of my life and baseball make it harder for me to really follow my team with any depth—it’s still a part of my core. 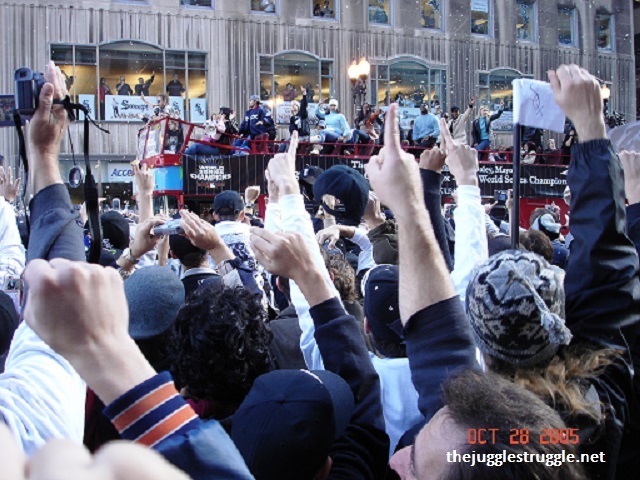 I grew up a Sox fan in a suburb of Chicago where that meant I was in a minority. I didn’t care—I wore (and wear) the distinction proudly. 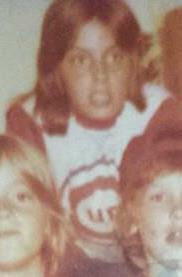 But in the summer of ’78, I pretended to be a Cubs fan in order to fit in better with my extended family. I hid my Sox gear and started to watch Cubs games. I had a photo of Bill Buckner on my wall. I even got my hands on a Cubs shirt and wore it–which is what I was wearing in the Facebook photo. I did all of this because my cousins were Cubs fans, and as we spent more time than usual with them that summer, I desperately longed to fit in. We are social creatures. Whether introvert or extrovert, the need to connect is strong. For me, it was strong enough to betray what I knew was my truth in order to be accepted as “one of us” by others. As someone who values loyalty above so much else, it hurts to admit. The betrayal lasted a season before I returned to my senses, and as the years went by, I buried the memory of my weakness. But the Facebook post brought back those memories and opened the door to my infidelity. Let’s just say I’ve heard about it from a few people. So, yeah…our team loyalties are strong. 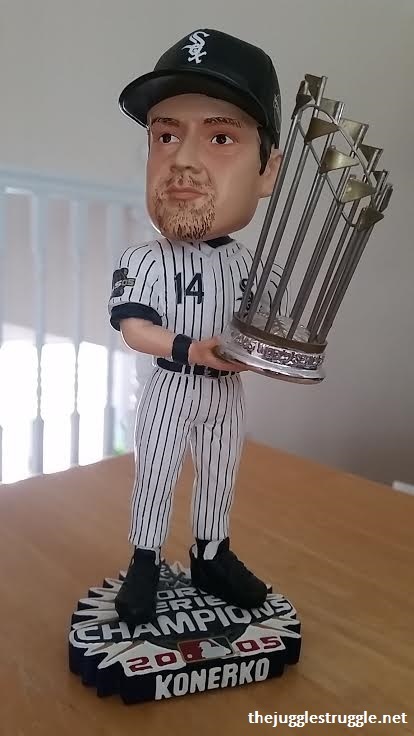 Did I mention the White Sox were World Series Champs in 2005? 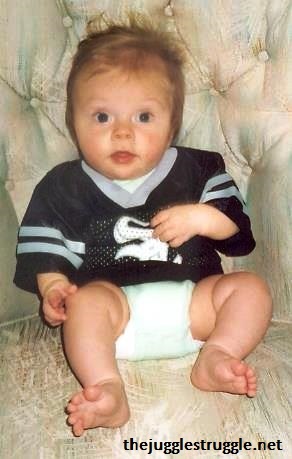 As you can see from the photo below, he has been a Sox fan from the start. And so I had to cop to it and tell him my truth of the summer of ‘78. And it was a funny but teachable moment that reinforced the very point about desiring to belong rather than fit in, and how peer pressure to conform can lead you to compromising your values. Yes, it is a topic that is non-threatening and (somewhat!) light-hearted, but he got the point that altering yourself from what you know is your truth in order to be accepted by others can lead you to choices that can run the gamut from embarrassment to shame and regret—and sometimes even worse. While I am not about to fool myself into thinking that this is a “one and done” lesson where he will forever make the right choices, I do think it was a memorable example to help drive the message a little deeper. Maybe my season of betrayal had some purpose after all. We all long to belong—to find that place where we are loved simply for who we are. Where our passions and quirks are accepted, and we are embraced—flaws and all. Where our metaphorical hair can be let down, and not only is it okay, but we have support to help us comb through the tangles. At the very least, I believe my son knows that one of those places for him is right here with his family where, no matter what, he is loved thoroughly and unconditionally—even if one day he does come home…wearing Cubby blue. Hard thing, teaching our children about belonging, not “fitting in”. Struggling with that myself. By the way, I got a pamphlet for the Stratford Festival yesterday. I think it’s a sign!